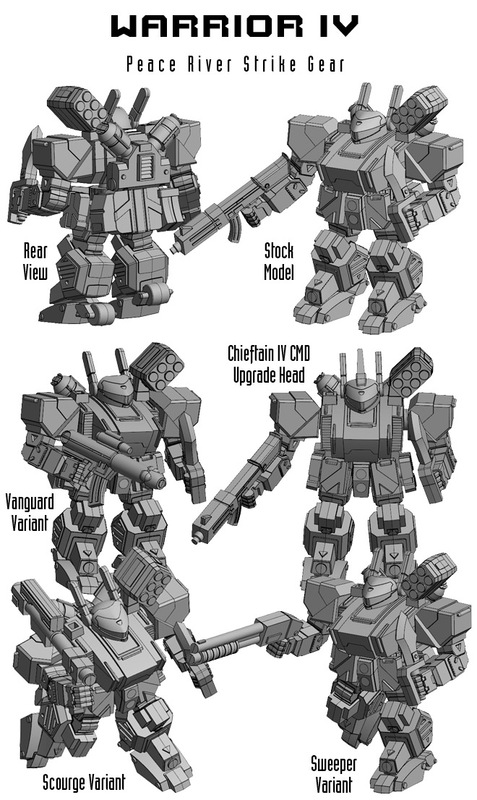 Dream Pod 9: Kickstarter Update: Peace River 3D Models Larger Images with All Variants Shown! Our 3d Modeler, Andrey, took the time to add all the variant weapons and parts to the Peace River models. 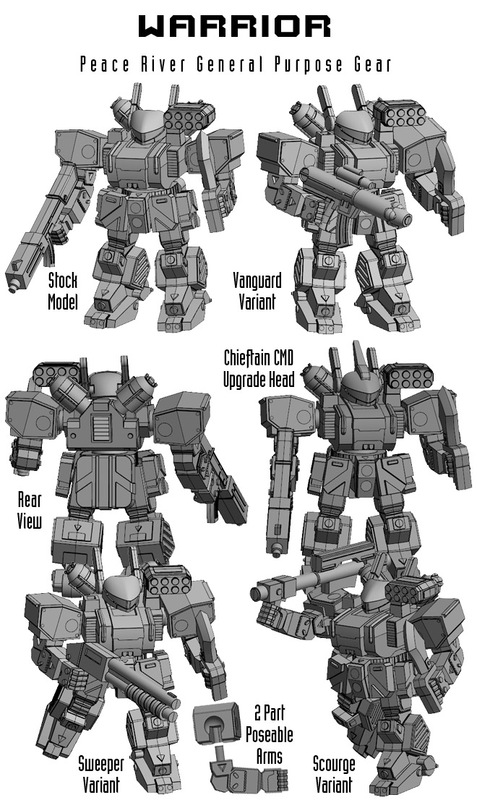 Below are the graphics we made for the 4 Peace River models (Crusader IV, Skirmisher, Warrior IV, and Warrior) showing all the variants or upgrade parts added and a few with running pose legs and rear view. We also added the images to the main campaign page. 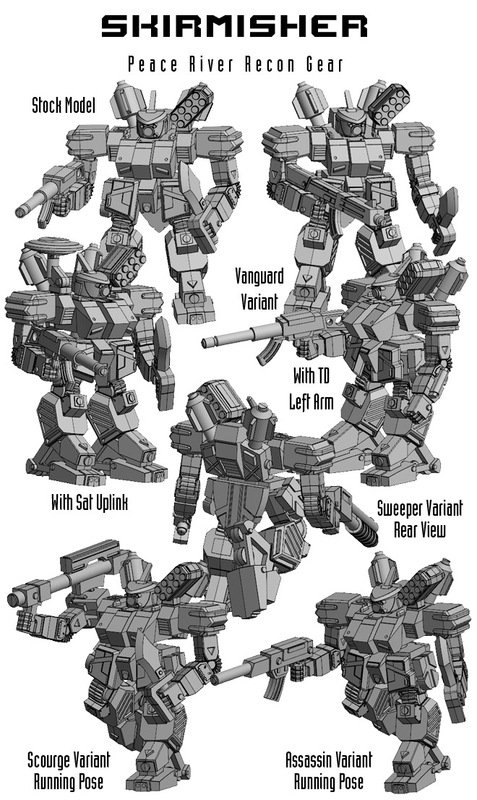 All the new plastic miniatures have ball and socket connections between the torso and shoulder and peg to slot connections between the lower arm and shoulder. 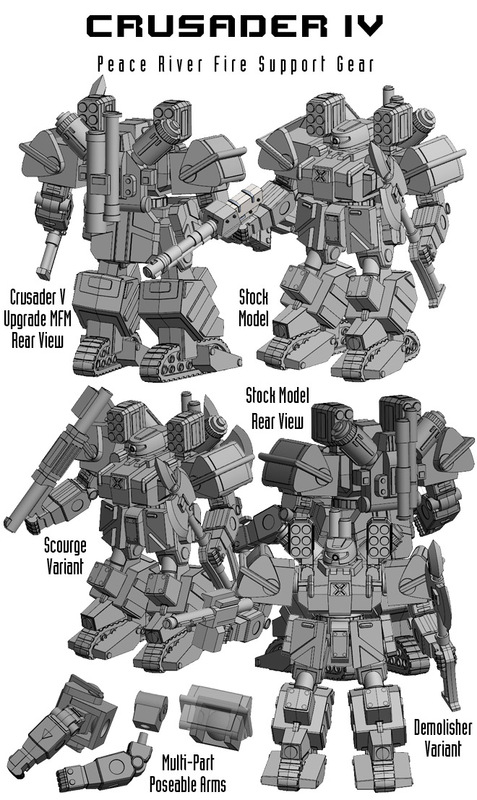 The Crusader IV has multi-part shoulders to allow the upper arm to be posed at a higher angle if desired. The hips also have ball and socket connections to the legs all to give players the most poseability possible when assembling their minis. Click the Heavy Gear Blitz Peace River & NuCoal Plastic Miniatures Kickstarter (Ending Saturday Evening May 26th, 2018) link below and show your support. Home › Blogs › Robert Dubois's blog › Kickstarter Update: Peace River 3D Models Larger Images with All Variants Shown!